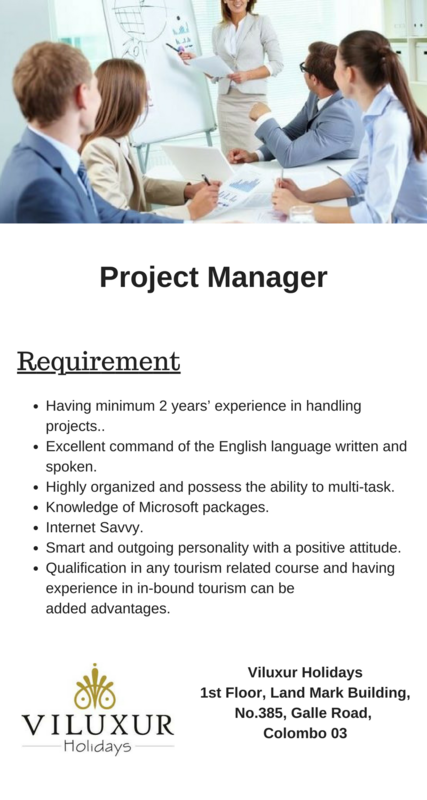 Having minimum 2 years’ experience in handling projects. Excellent command of the English language written and spoken. Highly organized and possess the ability to multi-task. Knowledge of Microsoft packages. Internet Savvy. Smart & outgoing personality with a positive attitude. Qualification in any tourism related course and having experience in in-bound tourism can be added advantages.